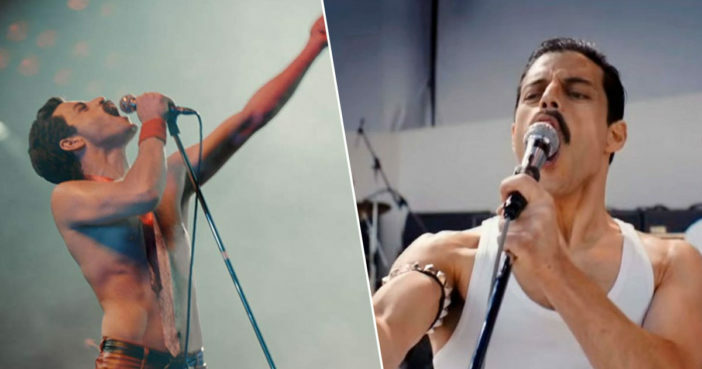 Bohemian Rhapsody shone both at the box office and the awards season, with audiences left ‘rhapturous’ over Rami Malek’s portrayal of the late, great Freddie Mercury. Culminating with Queen’s iconic 1985 Live Aid performance felt like a powerful note to end the biopic on, with Malek channeling Mercury’s formidable energy at its most electrifying. The stadium, the captivated crowds, the unparalleled showmanship which few artists have been able to emulate since; the closing scenes felt like a fitting tribute to the charismatic frontman. I was therefore a little surprised to learn that Queen and their management are reportedly already entering discussions concerning a potential sequel. I’m sure he [Queen manager Jim Beach] plans a sequel that starts with Live Aid. Dolezal – who began working with Queen at the point when the events in the film wrap up – added how a sequel is currently ‘being heavily discussed in the Queen family’. According to Page Six, Dolezal is currently writing a book entitled, My Friend, Freddie. He will also be releasing his interviews with Mercury through a film called, Freddie Mercury: In His Own Words. Dolezal became close to Mercury during his lifetime, having done approximately 30 videos for Queen. His work with them began with One Vision (1985) and ended with Days of Our Lives (1991). A representative for Queen’s record label told Page Six how they hadn’t heard talk of a sequel, however they did say The Show Must Go On: The Queen + Adam Lambert Story will air in April 2019 on ABC. Bohemian Rhapsody faced some criticism upon its release for being a little too free and easy with the facts, with important facts about Mercury’s life and health issues being rearranged to create narrative tension. For example, Mercury was known to be extremely loyal to Queen and there was no friendship-straining betrayal, no estrangement between the band members. Perhaps most cruelly, the timing of Mercury’s HIV diagnosis was rolled back to better fit the structure of the plot. Whether these valid criticisms will be taken on board if and when the sequel begins filming remains to be seen. However, I do sincerely hope the final chapter in Mercury’s life would be given the dignity and respect befitting a musical genius of towering abilities. His voice was simply too huge and too magnificent to be edited into a constrictive, clichéd format.